Habitude is a tool to help you track, set reminders and actively engage with your habits, whether you're looking to start a new habit or stop doing something. Make a positive change, start today. Get yourself set up for the new year and create some positive habits! To help you get started we're offering reduced pricing over the holidays with 50% off our subscription pricing and 75% off our lifetime purchase option. Let's continue making positive changes for the new year! We now offer a fully featured 14-day trial, available as a free in-app purchase when you first launch Habitude, this is a one-off trial which does not auto-renew into a subscription. Once your trial has expired, you will need to subscribe to regain access. We’ve separated habits in to Active and Passive allowing you to choose how you want to track your habit. You can create daily or weekly goals for active habits and set yourself reminders to motivate you to keep on track. Personalise your habits and give them a colour to make it easier to tell your habits apart. Set yourself reminders to check-in on your habits and see how you’re doing. 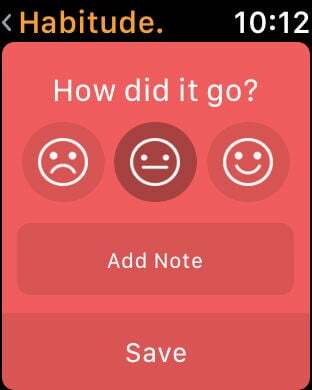 When you hit a goal or find yourself breaking your streak, log your mood and add notes to remember what worked or what you'll change next time. 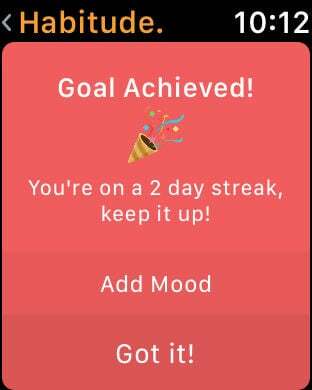 We'll automatically notify you when you hit passive streak milestones, like completing your first full week of a new habit. 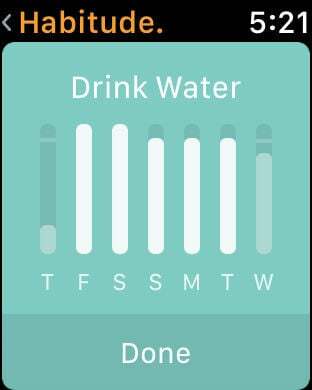 Browse through your activity, filter by habit and see your progress month to month. Check-in and reset your habits while on the go, add our complication for quick access. 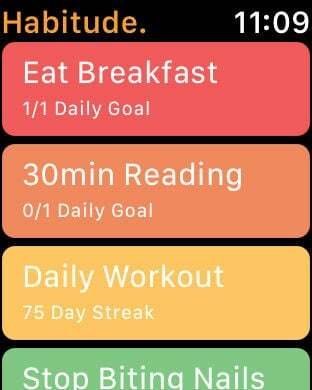 If you perform a long press on a daily active habit tile on iOS or watchOS you gain access to an at a glance stats page for your habit with a chart showing your current check-in data. We recommend starting small and sticking to a few habits at once but we've expanded the maximum number of habits available to 20 to account for any additional things you might want to add to track your mood and progress. 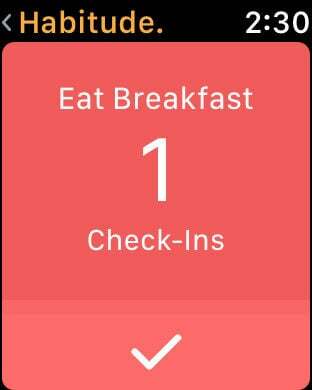 Active: Set yourself a daily or weekly goal and actively check-in to maintain your progress and build streaks. 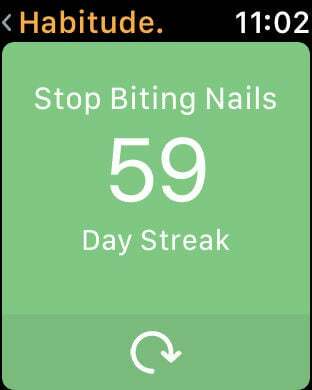 Passive: Set yourself a passive goal to track your progress over time and reset when you break your streak to start again. An active subscription purchase is required to use Habitudes features. We offer a 14-day free trial allowing you to try habitude before deciding if you would like to subscribe. Subscriptions unlock our full feature set for the duration and supporting ongoing development. Available as monthly (1 month), quarterly (3 months) or annually (12 months) auto-renewing subscriptions or a one-off lifetime purchase. Subscription payment will be charged to your iTunes Account at confirmation of purchase and upon commencement of each renewal term. Subscriptions renew unless auto-renew is turned off at least 24-hours before the end of the current period, Subscriptions can be managed through your iTunes account, we have provided a link in Habitudes settings to take you there. Please note: any unused portion of a free trial period will be forfeited when you purchase a subscription during the free trial period. We have lots of new features planned and we'll be actively responding to user feedback. You can contact us at feedback@habitudeapp.com or via the feedback link in the application settings.